We just took this car in on trade, from one of our previous customers. This car has just 823 miles on it and is perfect. The car has been babied since it was bought. 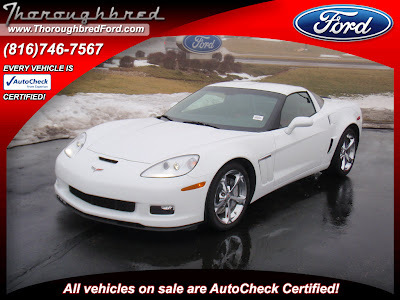 If you are looking for new Corvette save $$$$'s, just come look at it! This Chevrolet Corvette is located at the Kansas City, Thoroughbred Ford store on Barry Road. Call ahead or come visit.